On Halloween night, when the first group of children walked up and saw me sitting quietly on the front porch —they stopped and decided to come no further. I wasn’t growling, hissing, or howling—but apparently, my calm cattitude was rather unnerving. “WHAT are you?” asked a brave ninja, as he waved his plastic sword with one hand and clutched his bag of candy tightly in the other. A little princess and a hairy werewolf stood close beside him, for protection. “Ok. Yes. I forgot. Trick or Treat.” he replied. The ninja opened his bag and I put in some M&Ms (which instantly met with his approval). “Goodbye kitty cat,” the princess did say. And the werewolf growled “thank you” as they walked away. 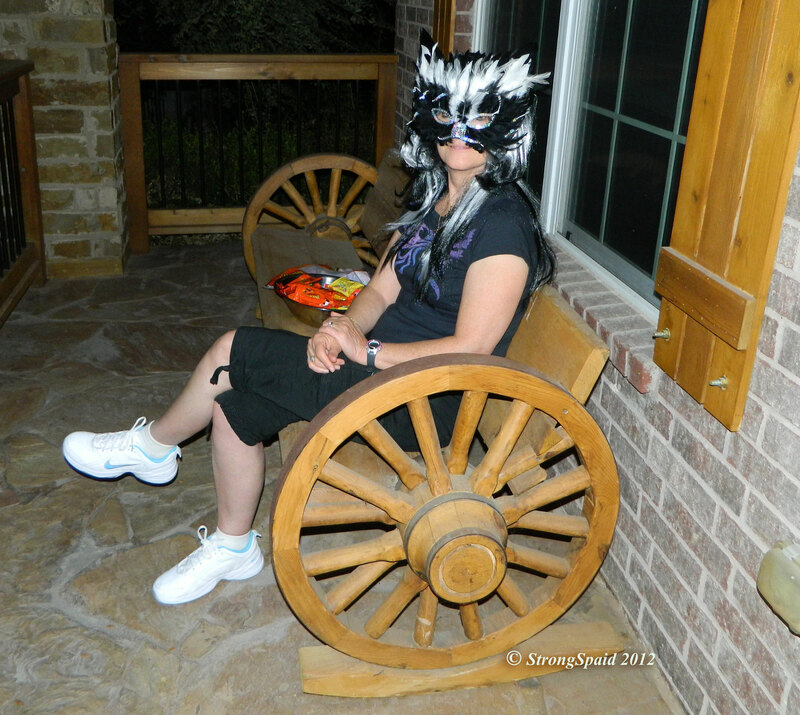 This entry was posted in Halloween, photography, Stories and tagged cats, children. Bookmark the permalink. This is really so cute!! When I was a kid living on army bases Halloween was pretty huge….lines of kids trick or treating and everyone was out. I remember loving the houses where the person handing out the candy had some personality, made me laugh or scared me. LOL!! You are way more fun than I am!! Our current day around here though is just not what it was when I was a kid. Things appear to be different. You did a cute thing and I’m sure the kids will remember it. It’s true. The times have definitely changed. But everyone in my daughter’s neighborhood knew everyone else, so it was definitely good fun.